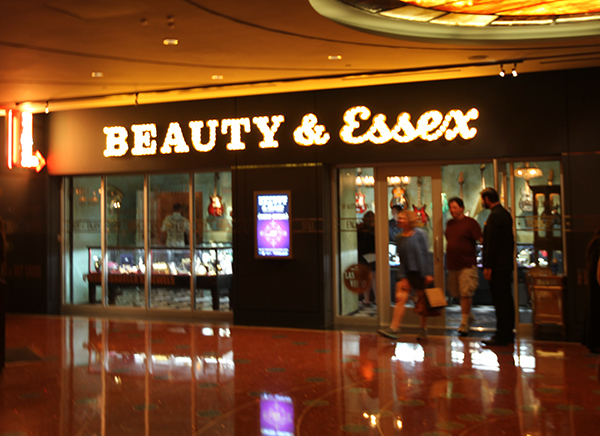 Beauty & Essex Las Vegas, Pawn Shop like No Other and A Bit of Amazing Food Too!! Walking through all of the glitz and glam the Cosmopolitan Hotel and Casino offers, there is an entrance that looks like a throwback to the early days of Vegas. A large front door, flashy sign and a well-lit pawn shop make for an interesting start to what is sure to be an amazing evening in one of the hottest restaurants to hit the Strip. 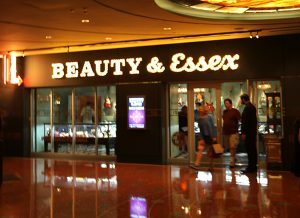 Chris Santos, of The Stanton Social and Chopped fame, opened the second Beauty & Essex location in Las Vegas on May 16th. 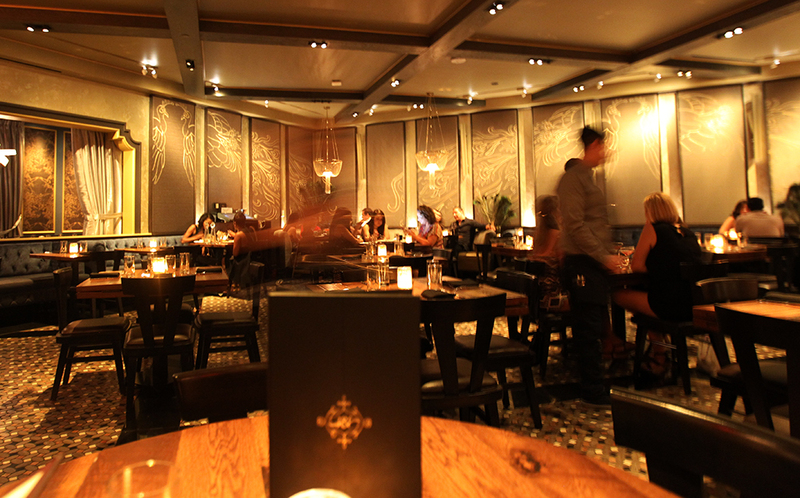 Chef Santos has already set the buzz on the street with his innovative concept of small, sharable, tapas-like plates to this west coast outpost and, along with the always trend-setting restaurant and nightlife group TAO Group. 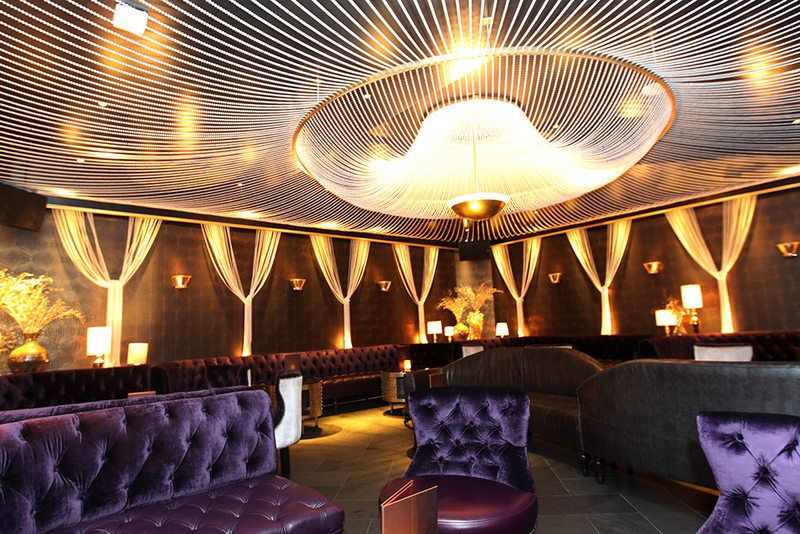 Beauty & Essex takes its name and leaves nothing short of beautiful when it comes to the décor from top to bottom. Each little piece of this restaurant is like a living museum to yesteryear. 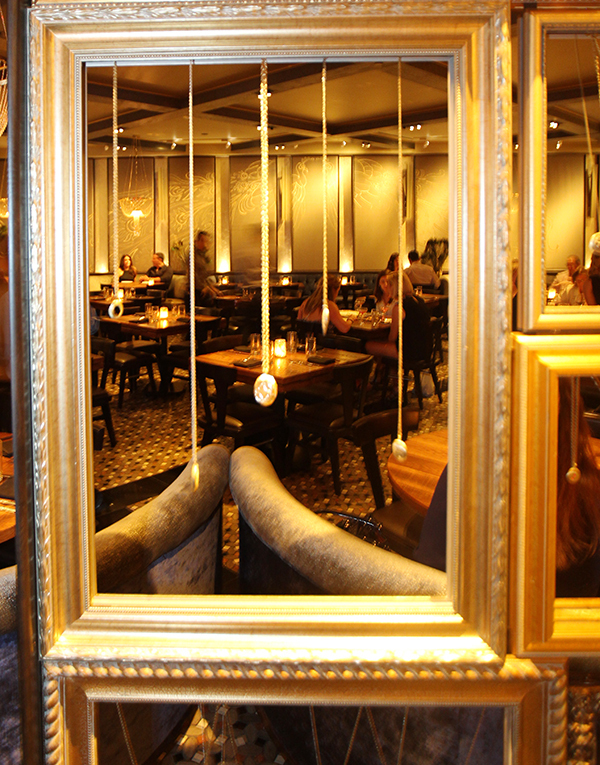 From the lounge when you enter the restaurant, to the hallway with 10,000 square feet and over 230 seats for dining, and 90 more seats in the bar and lounge, Beauty & Essex showcases a restaurant like no other in Vegas. If you want to check out a museum before dinner, this is your place. 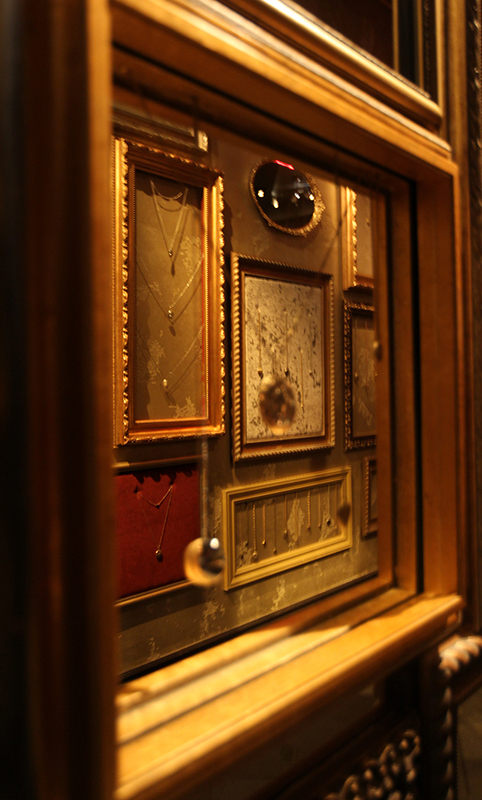 With pearls and gemstones, to antique and heirloom pieces, the initial pawn shop-inspired front is just a small bit of what you will get to see inside. 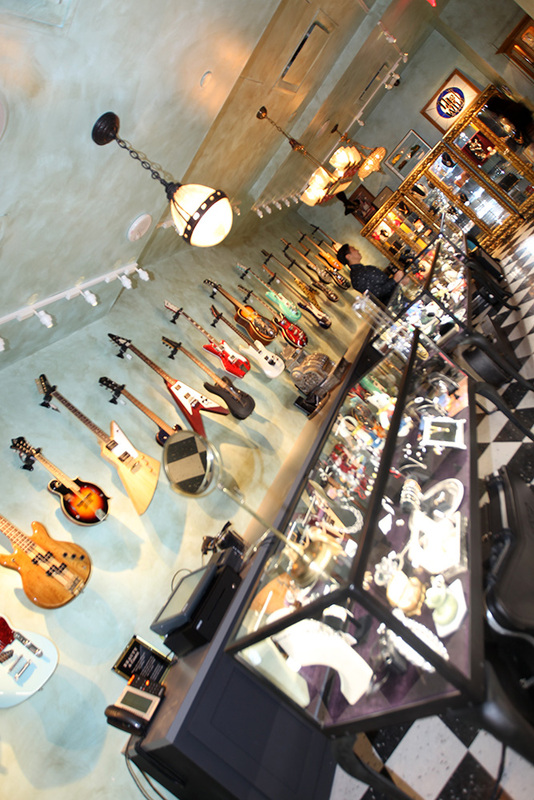 Once you journey further into the space, you arrive at the gorgeous Pearl Lounge leading to the dining area, not a detail is missed to transition the pawn shop from outside to inside. Once you get your fix of the massive amounts of strands of pearls in the lounge, and move past the hundreds of gold chains and lockets, you will be seated in a beautifully lit and decorated dining room. Both cocktail and dining menu are full of interesting and delightful blends your taste buds will awaken to. 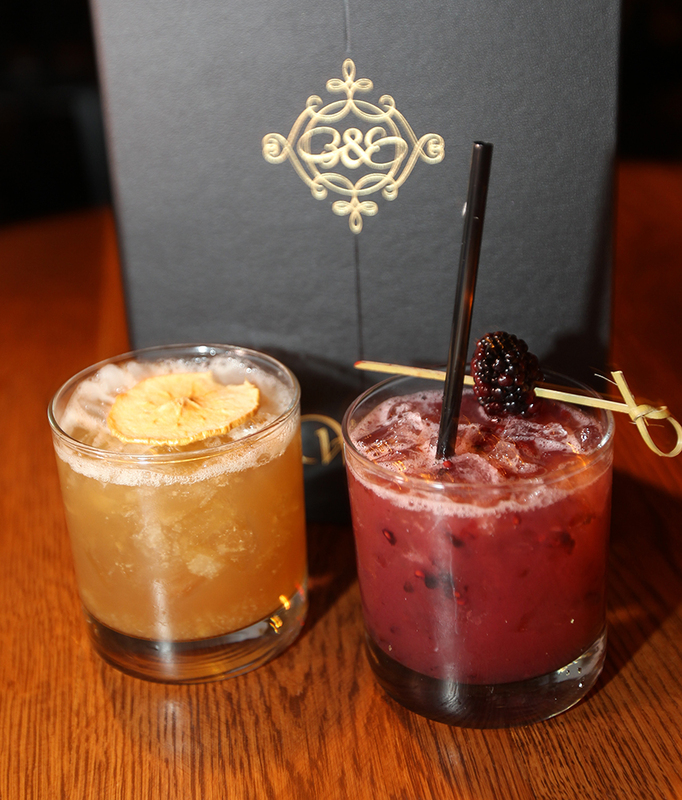 The libations on the menu are endless, with cocktails such as the Emerald Gimlet and Beauty Elixir, plenty of wines, and craft beers are sure to satisfy all. The Gimlet is a mix of Absolut ‘Elyx’ Vodka, Basil, Lemon Nectar, Fresh Lime. The Beauty Elixir contains a nice mix of Death’s Door Gin, Cucumber, Strawberry, Zonin Rosé Prosecco. 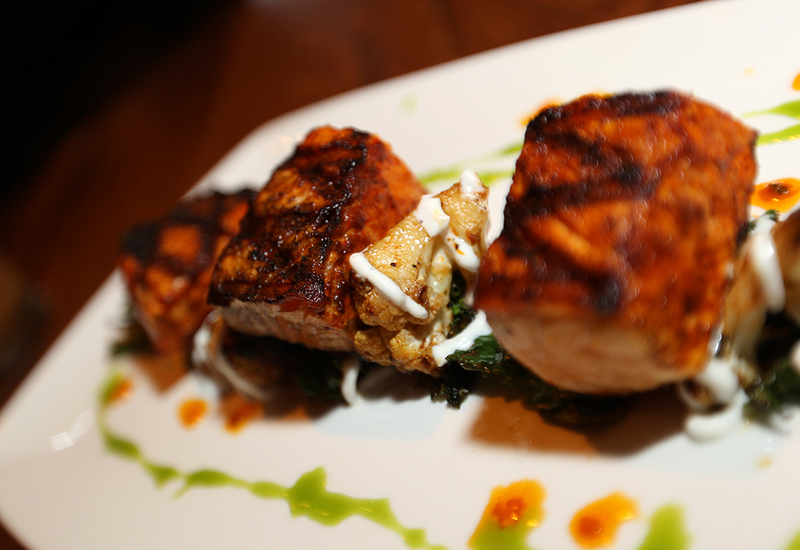 Signature dishes from Chef Santos’ New York location will be seen in different variations, along with exclusive, Vegas-only offerings. Some of the plates that we saw similar to the New York location to share include Beauty & Essex favorites like Tuna Poke Wonton tacos and the Thai-style Crispy Shrimp. 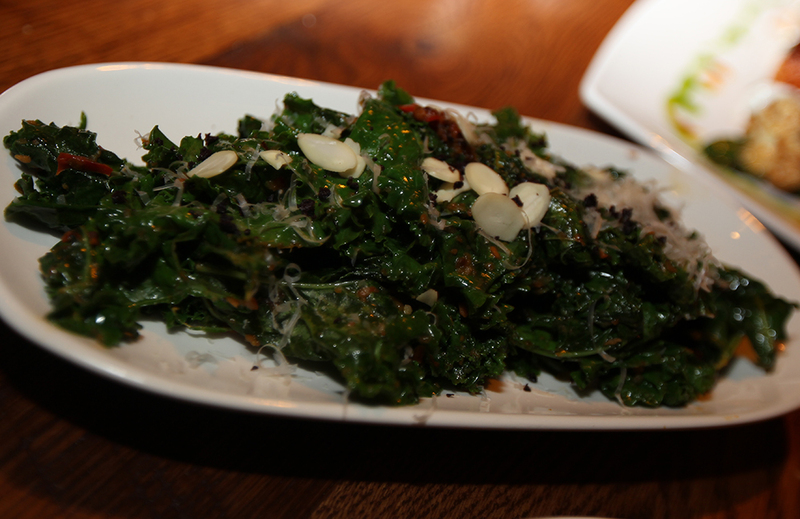 He has also included things such as roasted bone marrow and oven-braised chicken meatballs. What we really liked were his dumplings. 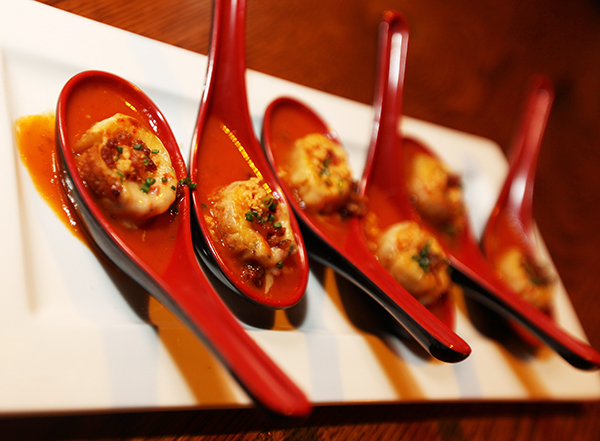 Two uniquely tasty dumplings from chef Santos’ very first restaurant, The Stanton Social made this menu in the Tomato Soup and French Onion Dumplings. 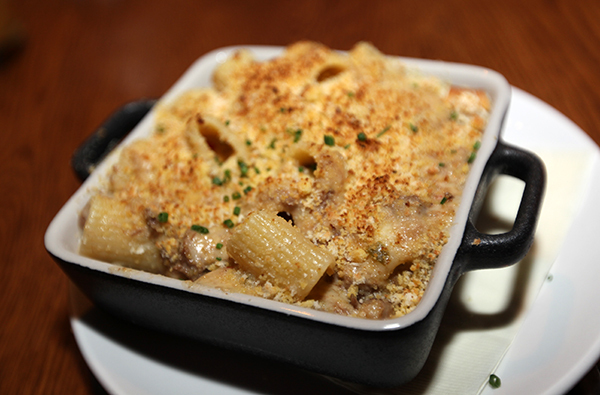 Those looking for larger meals be pleased with Beauty & Essex’s unique selection of pasta, prime dry-aged meats, an award-winning burger, and decadent desserts. Since this is a family friendly restaurant, those looking to get a little Turnt-Up, the libations on the menu are endless, with cocktails such as the Emerald Gimlet and Beauty Elixir, plenty of wines, and craft beers are sure to satisfy all. 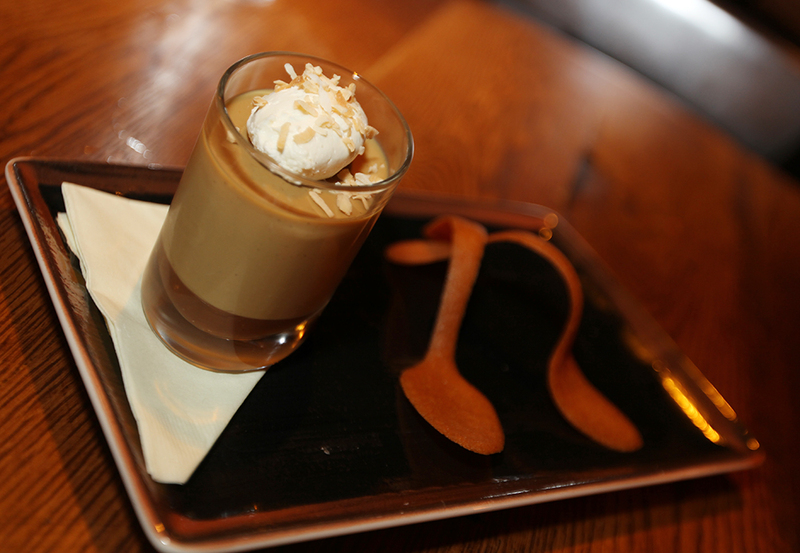 Don’t forget to end your night with one of their in-house made desserts. Pastry Chef Brandy Wollfork has put together some gems that include our favorites the Black Bottomed Butterscotch Pot de Crème and the Birthday Cake ‘Shake Shot’ which includes Makers Mark and Rainbow Sprinkles. We even saw a few of the patrons dining ordering these and singing Happy Birthday with these on the table.